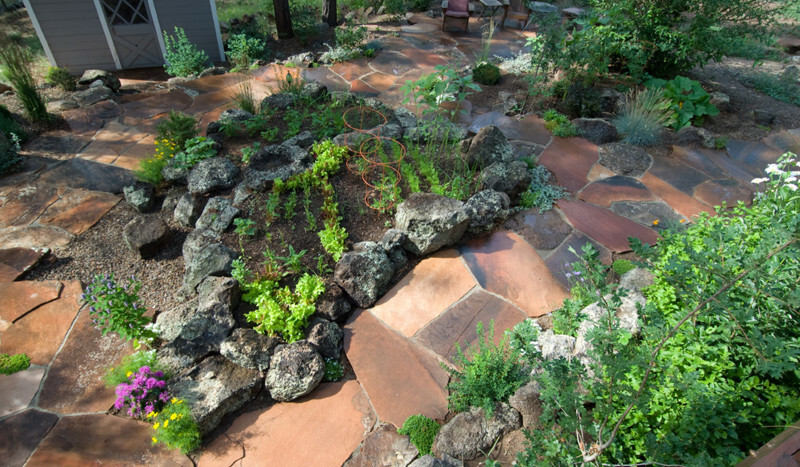 Landscape Design & Construction Flagstaff. Landscaping Contractor. 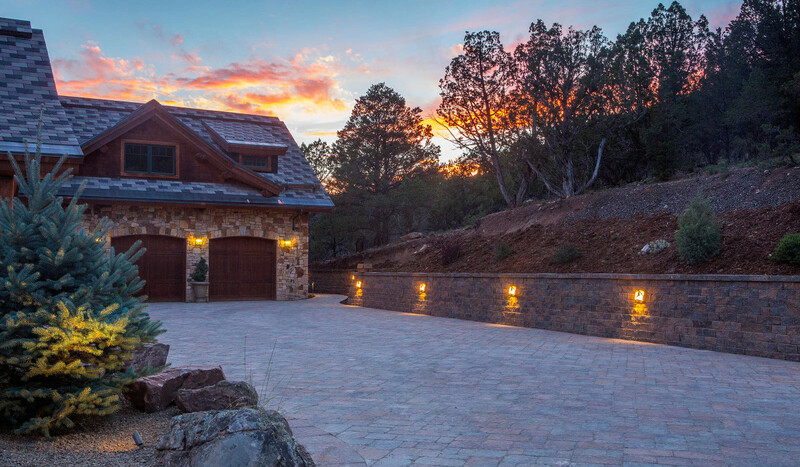 We specialize in residential landscape construction, landscape design and artisan stonework for the Northern Arizona and Western Mountain home. We are based in Flagstaff, and regularly serve Sedona and many Colorado mountain towns. Contact us with your project – we are happy to travel. 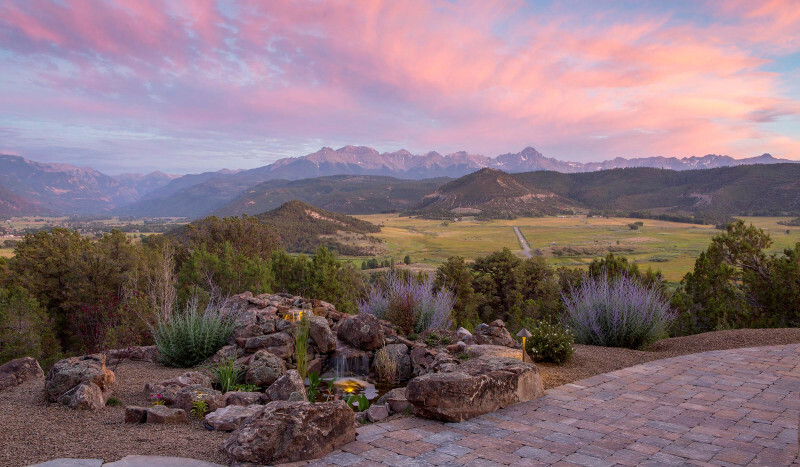 As a licensed landscape contractor, we work together with homeowners, designers and architects to create a landscape that works for you and your property. 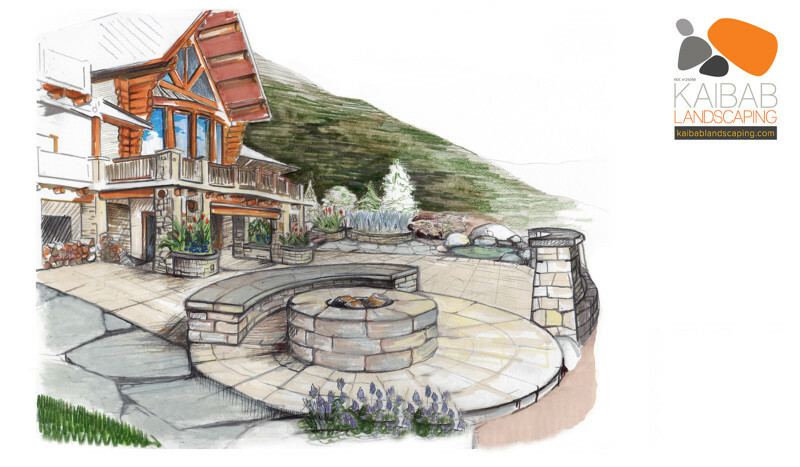 We strive to provide you with only the best in customer service and craftsmanship, from the landscape design phase through construction. 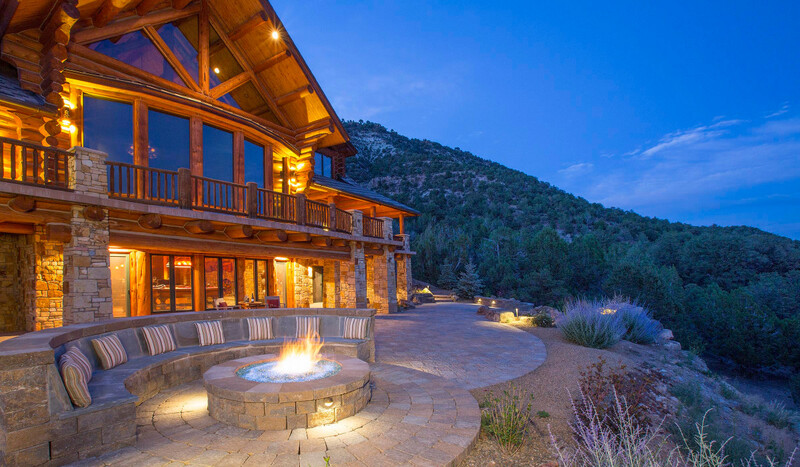 Call us today for a free on-site estimate: (928) 214-4397 – We look forward to working with you. Linda C said... We are so happy with the work that Hugh and his crew have done for us. 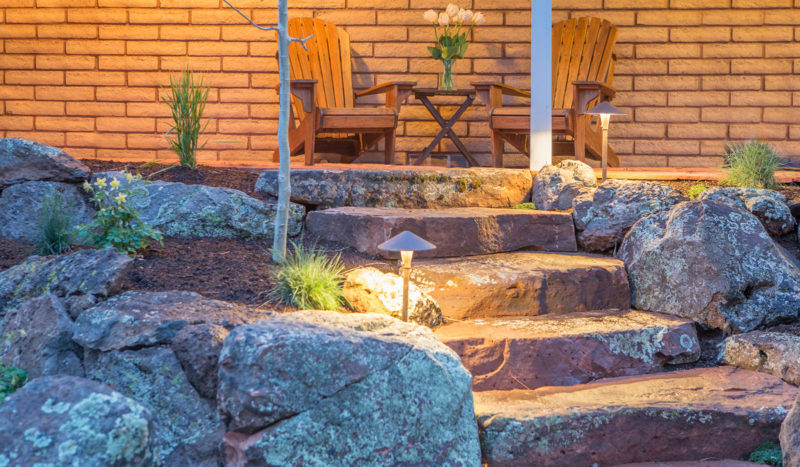 They transformed our front yard with beautiful terracing and flagstone steps. It makes us smile every time we come home and see it. They have been a pleasure to work with and and are true craftsman, they understood our vision and offered wonderful suggestions that greatly enhanced the overall concept. 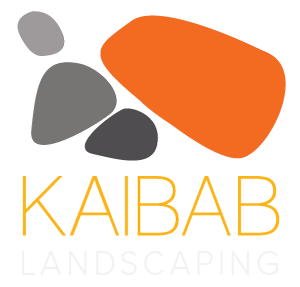 Nancy says... My husband and I highly recommend Kaibab Landscaping. 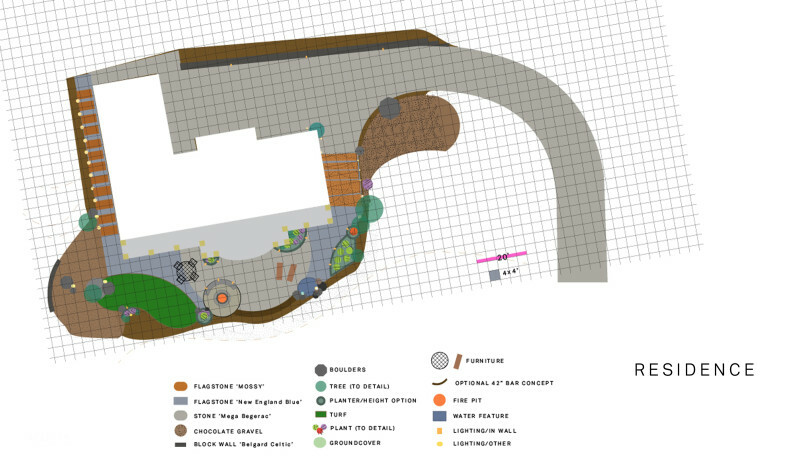 Hugh Pressman took the time to clearly define what we wanted and quoted us a fair price. The work was done meticulously and finished on schedule. Our yard is now beautiful, with artful rock work, raised perennial flower beds and flourishing plants. Thank you Hugh! Tim Says... Veronica Hipolito V. Hipolito We hired Kaibab to design and install landscaping in our front and backyards. 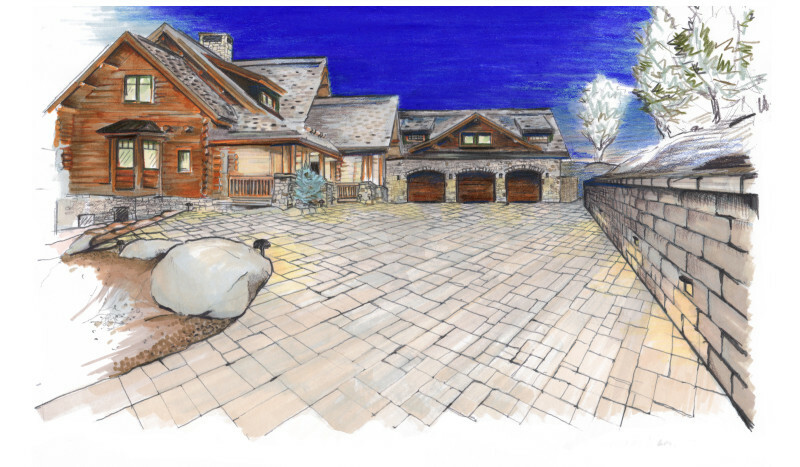 We don’t have large yards but Hugh created an outdoor living space that maximized the use of the space with an inviting and cozy design. We enjoyed working with Hugh and his team. His crew are skilled craftsmen and they produced beautiful work. We’re thrilled with the final results!. Mike Says... From idea stage to final completion, Hugh listens and is not finished until his customers are happy. Prices are competitive and results are great. He has the Flagstaff taste dialed in. Quality of the work is outstanding and holds up as time has passed. He follows up over the years and treats the results as though it was his yard. Great attention to detail. Don't go to anyone else until you talk to Kaibab.